Liu Wen walks the runway for the Marc Jacobs Fall 2019 Show at Park Avenue Armory on February 13, 2019 in New York City. 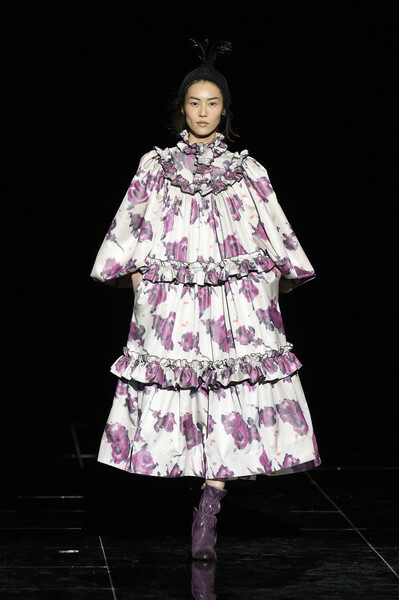 Liu Wen turned heads in an oversized print dress at the Marc Jacobs Fall 2019 show. A pair of ruched purple ankle boots completed Liu Wen's runway look.